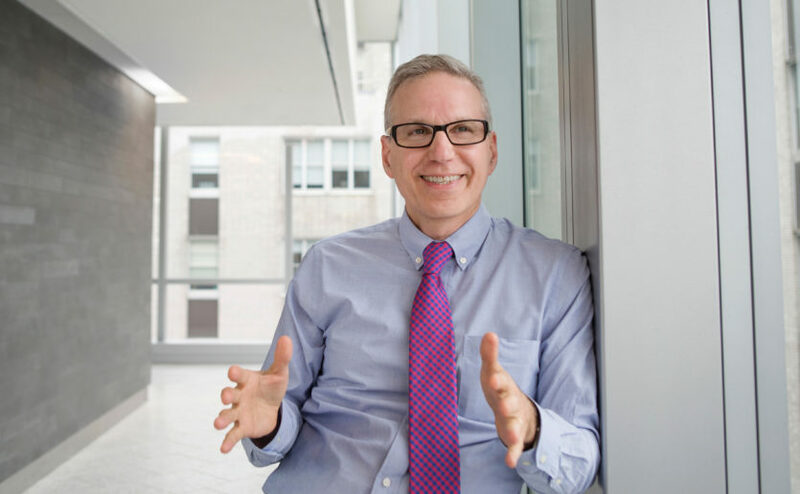 It is a great pleasure for me to welcome Dr. Lee Schwamm, Professor of Neurology from Harvard Medical School, Vice Chair of Neurology from Mass General Hospital (MGH) to the feisworld podcast. Growing up in China, many kids such as myself had an obsession with the medical field. Only later I learned that I didn’t have what it took to become a doctor. Nearly ten years into my career, I still find myself desperately wanting to know more and understand what it is that makes doctors into who they are, and how they can do what they do. In this one-hour interview, Lee talks with me about a Day in the Life of a Neurologist at MGH, followed by a 20-min deep dive into the study and evolution of patient care and patient satisfaction. What are some of the more straightforward vs. ambiguous measurements in patient care? Consider these domains: 1) measurements of doctors' intentions, 2) whether or not their intentions match the patients’ wishes, or 3) by the outcomes themselves, or 4) by the procedures doctors recommend. Some of you may already be thinking about crowdsourcing. But in this case, does the crowd know best? What exactly are the values people look for in a doctor, or in a hospital? In the second half of this interview, I time traveled with Lee back to when he was still in college. What was Lee’s secret origin story that shaped him into who he is today? Get ready Lee’s point of view on robotic surgery, social network analysis, bringing technology into healthcare. What are some of the more straightforward vs. ambiguous measurements in patient care? Why some doctors believe that it is a terrible idea for the "crowd" to rate the doctors? Does the "crowd" know best in this case? What does a General Hospital do and the constraints it has to work with? What are the values people look for in a doctor? "The undivided attention and compassion for my patients"
How has medicine changed over time? In particular, how has technology served as an asset vs. a liability? "How can you be certain?" and what’s the price of certainty in medicine? Why is it important to be well networked and informed as a doctor? What are the right skill sets for someone to manage other people for the right product? Lee as a project leader: "when it comes to bringing technology into healthcare, my special skill is to act like a user." To learn more about Lee Schwamm, you can check out his medical publications, or follow him on Twitter. "The whole paradigm has changed," Dr. Lee Schwamm, director of Stroke Services at Massachusetts General Hospital said. "Now we know 'time is brain,' or so we say. Every second counts because while the brain is deprived of blood, millions of nerve cells are dying every minute." "Thirteen minutes from the time the stretcher entered Mass General, she had already gotten a CAT scan, bloodwork and was getting the TPA -- the clot buster," Schwamm said. Schwamm said more and more hospitals are now training staff on how to quickly diagnose incoming stroke patients, and to try and treat them as quickly as possible because the faster doctors can restore blood flow to the brain, the more likely a patient is to recover. After four days, doctors said Keir is 98 percent recovered. For other news articles related to Lee Schwamm, simply Google his full name and click on "News". Fei: Thank you Lee for coming, for doing with me for my wonderful podcast which is my life calling according to previous guest on this show. You are the Vice Chairman of the Department of Neurology at MGH, Massachusetts General Hospital. For my audience who don’t live in Boston it is in my opinion this is like one of the most prestigious hospitals in the United States. Recently I read this article that MGH is opening up hospitals in China. I was so excited. I was so excited and I was like, “People are going to be saved.” They are counting by the size of the hospital by how many beds or I don’t know. There is a techno term, there are 500 and it is incredible. So welcome to the show. My first question is could you help us paint a picture of a day in the life of Lee Schwamm. Dr. Schwamm: Well thank you Fei for having me. It is a pleasure to chat with you. So it is little hard to paint a typical day because what my day consists of shifts depending on what phase of my work I am in. So unlike some doctors who have a practice where they see patients every day I see patients in bursts. So when I am the attending who is in-charge of the patients admitted at the hospital in neurology then I come in at 7.30 or 8 in the morning and I am with the patients and the trainees all through the day. I might have a meeting or two in the afternoon but pretty much I am on the in-patient wards where the patients are for the whole day for two weeks in a row, weekends, weekdays not much difference. That is very different than how I am when I am not on one of those bursts. I do those bursts about 10 weeks a year. So about 20-25% of my time I spend my time direct patient care, teaching younger doctors how to take a good history, understand what the test results mean, talk to patients and families about diagnosis, about what it means to be ill, what we might expect is the best recovery or explain to them that their loved one has had a devastating neurological injury and is not likely recover. So it really spans the gamut of what people experience because the brain is such an important organ. You can have a very minor, reversible injury and get admitted to the hospital or you can have a very devastating injury which you will never recover. When I am not doing that I would say I spend about 20% or 30% of my time doing research and other kinds of teaching and I spend the rest of it doing administrative tasks related to running the department which are very interesting and variable but at the role that I am in now it largely involves working with other people who are leaders in the department and helping them to be successful in executing the tasks that we together have worked on to try to realize the vision that we have for the department. Fei :	Fascinating. When I proposed this interview on you I remember we quickly came down to this area and I don’t recall the title of it but I think it was related to sort of customer or customer in this case patient satisfaction and how to measure a success of a treatment or a sequence of treatments. Does it sound any accurate at all? Dr. Schwamm:	So that is an area that is increasingly coming into focus in field of medicine because medicine is looked at more and more as the delivery of a product or service and not just as a professional art where each individual will practice that art in a way that they were most comfortable. So in previous decades or generations the doctor was in some ways a master painter or sculptor. There might be some general directions or ideas of what the customer wanted but largely they went to the artist hoping to purchase their services. There were very little guidance or constraints around how they might perform that craft. So there were conventions but no real regulations and there were some barriers to prevent harm but people didn’t generally compare what you did versus what I did, the way you got more patients more customers by word of mouth and why people respected you and if you were recognized and promoted by academic societies. So higher your rank in the society the more desirable you were. So that was really the old way of looking at things and while hospitals were tracking important things like percentage of people who were dying in the hospital or how many serious infections were occurring there really were not methods to compare one hospital to another or rank hospitals. That process probably began about maybe 30 to 40 years ago with the idea that the procedure that had been developed to improve the quality and safety of products in factories like the auto industry or the airplane industry could be applied to medicine and they could start to measure the quality of care as the first step to trying to improve it and that rather than accept the idea that defects were expected that you could actually decide that defects were unacceptable and then figure out how to prevent them. So the auto industry in the United States up until the 1950s and 1960s American cars frequently would brake and they would frequently be defective. When they were purchased, first purchased things wouldn’t work, things would fall off and you would be expecting it to bring it back and have it repaired frequently. Then the Asian cars entered the market, particularly Japanese cars which had really adopted this philosophy of defect-free production and the world you know became enchanted with the reliability of these vehicles. They completely transformed the auto industry and everybody had to follow soon and figure out how to do what they had figured out how to do. That wave has now swept into medicine. Some would argue that it has swept in to such an extent that it is actually undermining some of the other beneficial aspects of medicine. My personal feeling is that it is vital to figure out what is important and try to measure it because it is only when you measure it that you can really know what you are doing and where you are failing because as human beings who are invested in providing care and being successful our natural tendency is to recognize and celebrate the successes and try not to look too hard at the failures and not whenever possible to ascribe them to something we did wrong. This is our nature. So if we don’t build processes that are specifically counter to that nature we will inevitably fail to learn from our mistakes. So that is really the kind of rise of quality and safety as a major pillar in medical, not only medical bureaucracy but organizational structure and you will see now that all the major hospitals in the United states quality and safety is an important and recognized pillar that is part of the mission of every hospital. It is not an easy thing to figure out what to measure and how to measure it. It is expensive to measure things well because the effort you are applying to the measurement is the effort you are not spending on treating one more patient or doing one more experiment or you know whatever it is that supports the mission of the hospital and profit margin of the hospital so that they can reinvest in the future of the care delivery. So simple things have been measured for a long time like mortality, death but here is a problem, let us compare two different diseases. If you are young and healthy and you are coming to the hospital with pneumonia and you die that is a terrible outcome and that would be something that we would always want to avoid. So ranking hospitals on the rates of mortality after pneumonia makes a lot of sense. What if you come into the hospital with a terrible stroke so that you are paralyzed, unable to speak and you had said before this in your haze, “I would never want to live like that. If I am dependent, I have to live in a nursing home, I can’t feed myself, I can’t talk I don’t want anything done to help me survive” and then you die in the hospital that is probably better. That is probably in your mind a better outcome than if you had survived and lived with profound disability. Fei :	Well, how do you measure that? So there you might say that we had achieved a good outcome. The customer, the patients’ needs were very clearly expressed, “If I have this terrible event I don’t want to live.” We didn’t do anything to make them die. At least in this country we don’t allow that such as a physician assisted suicide or give lethal doses of medication but there is something in this country called ‘Principal of double effect’ which means that if you are providing care and comfort and the patient dies sooner as a consequence of that that is not in any way considered inappropriate and it is exempt from any prosecution. So you are not at risk of being criminally prosecuted or sued for that. We are also not under the obligation to provide medical care simply because it exists. So if a family member or any patient says, “I don’t want any food anymore. I don’t want any medications. I don’t want any fluids.” We are under no obligation to force them to take those. If you can’t eat and if you can’t drink by yourself and you therefore slowly become dehydrated and have your blood pressure drop and eventually die from that that is also considered completely appropriate within the standard of medical ethics in this country. So what is the right outcome measure there? Did we score a win because that patient’s needs were met in the way that they had specified or did we fail because we didn’t rescue them? Well we might have failed in that we didn’t reverse their deficit and help them recover. Right, that would have been the best outcome if we had given them a drug or a procedure so that the stroke that was evolving reversed itself and now they woke up and they could move their arm and they could talk again and they could eat again then that would be the ultimate win. So just think about that one case and how complicated it is and how should you rate me on how I did? The patient came in, they had a chance to improve but I failed at that but once they didn’t get better and maybe I didn’t even fail, maybe I gave the right treatment but they didn’t respond and now they are in a place where they don’t want anything more done, just want something aggressive done and now they die. Is that a good outcome? Is that a bad outcome? You can see how it is incredibly complicated to measure it from any kind of pre-specified set of criteria. Then the last thing you could do is you could ask the families or the survivors or the patient, “How was your experience of the care? Did you have a good experience in the hospital?” That is likely to be influenced tremendously by the kind of interactions you had with the healthcare team, the broader healthcare team – the dietician, people who bring in the food trays, the people who clean the floors, the nurses. By the same token you can imagine the opposite scenario where a family came in and you did everything that you could but things just didn’t come out for the best and now the patient is angry or the family is angry and they feel dissatisfied and they feel cheated and that their loved one died or didn’t do well and that you must have not done the right thing because the outcome wasn’t good. So how do you measure people? By their intentions, by whether or not their intentions were well met with the patient’s wishes or by the outcome themselves or by the procedures that we recommend be done in those circumstances because we know from studies that when we do those things patients have a better outcome. So I think that the short answer is and I see you writing down lots of questions. [Laughter] I will pause in a moment. I think that we have to measure all these domains and each one is measuring something different and whether we combine those all into a single number which this country loves, getting a final grade you know which is a summary of everything or whether we just present it as a more complex picture of five or six domains where you can do better or worse in different domains and also how we can get away without measuring all of these because they are not overlapping. They are all measuring something different. The best of all possible care would occur if all of those domains are well met. When they are not all well met and some of them reflect compromises that occur as we try to care for patients and their families within the constraints of the system that we live in. Fei :	I think it is important even if there is a final score to also reveal relative scores for each of the categories instead of hiding them because for anybody in or outside of the medical field that cannot look at a score of 98 and make sense out of that. If you look at the complete dumb down version of the EBay selling, right EBay even integrated the scoring system of what is your communication with the customer, what is your shipping speed, was your shipping cost reasonable. So I think it is really interesting then it is quite that we have other people rate you over time and you have a starring system and all that. Dr. Schwamm:	There are a lot of people in medicine who think it is a terrible idea to measure and rate because they don’t think that the crowd actually captures what is important and in fact it is distorted. So for example there are lots of hospitals that will say if I am a big in academic teaching hospital like Mass General or John Hopkins I attract all of the most difficult cases from the community around me. Those patients get admitted to smaller hospitals who keep simple, easy, quick patients and send the complicated ones to me. Fei :	Yeah, they send to you. Dr. Schwamm:	So I become a concentrator for mortality and poor outcomes. The smaller hospitals look like best hospitals in town because they get five star ratings on everything because the complexity is low, time spent in hospital is short, focus I more on the quality of the interaction and not as much on the complexity of the medical care and so they get to maximize and master simple and repetitive series of interactions. Fei :	It is almost like focusing on the efficiency rather than effectiveness. Dr. Schwamm:	Well they are very effective. Actually I wouldn’t say that. They are very effective and lower cost in what they do but if you don’t fit into one of their product lines perfectly then you are in trouble. So if there is a Toyota and Mazda mechanic store, workshop. If it is a Toyota or a Mazda with a simple problem you get in and out of there quickly and can be very satisfied. But if you have a Volkswagen or you have an older model or you have something that doesn’t quite or it is not obvious what the problem is you are going to have a very different experience and end up at a specialty shop okay and that is what the General Hospital is. General Hospital is an auto body and mechanic shop that has to fix any car no matter what it is and has to stock all the parts no matter what they are or know how to get them and you don’t even tell them what kind of car you have when you arrive. Fei :	Oh yeah or what is already wrong with it. Dr. Schwamm:	You just bring a care in under a drape and just say, “You know when I put the key in it doesn’t work.” Not, “Can you fix it? Please fix it.” and you can’t say no. My friend over there will decide what you will get paid for this. You don’t get to charge them what you want but you get what you get paid. So it is a very, the system that we are in is not one that is designed for efficiency. It is designed to support an over capacity within the large general hospitals. They are deliberately designed for inefficiency because they have to be ready to deal with anything. Fei :	Yeah, yeah and on top of all that as we all know I mean when we sell consumer goods people don’t write a review until they feel completely dissatisfied and they have something to complain that is when people are like, “Where is the form now?” I mean I felt the same way with the ‘AAA’ showing up at my house and I had requested specifically for a battery for a BMW, this model and the guy showed up and said, “You don’t need one.” And he said, “You should just run your car in your garage for one hour with the garage door closed and you should be outside.” I said, “That is not right.” I think to your point I feel like it is very biased in terms of the feedback. Dr. Schwamm:	That is another thing we didn’t touch on which is, “How do you trust the information that you are getting? You have mentioned a couple of different sources that are biased. One of them is that people at the extremes tend to be more vocal than people in the middle. So people who had a great experience, life saving or people who had a terrible experience are more likely to comment and it is really the ones with the terrible experience who are even more likely to comment. You have to figure out ways to benchmark one comment against the other. The other thing is that I think more and more people buy certain consumer goods based on reviews. They really look at Trip Advisor to decide what hotel to stay at. In medical care it is much more about brand and reputations. People don’t necessarily trust online reviews as a broad reflection of care. They too are suspicious but one angry rant about Mass General doesn’t stop them from going to Mass General. But an angry rant about Dr. Jones might make the think twice and maybe they will seek out a different doctor at a place like Mass General. So people don’t seem to select based on that. They select to some extent based on convenience and their perceptions of quality and they will select based on the cost as we move away from the current insurance models where patients are insensitive to the differences in prices. So if you have an insurance that will pay anywhere you don’t have any sense of that you ought to go to the smaller community hospital for something simple as opposed to the Mass General because you don’t experience a difference or maybe you experience a difference of $10 in cost that is more than made up for your faith in the quality of care. [Laughter] But if you expose the patients to the full differences in cost then what you really do is you are creating a two tiered system where poor people don’t have access to the best care because they can’t afford. Fei :	I cannot recall a single engine or service that actually helped someone like me as comfortable as I am with computers to find what I need when it comes to medical care. Dr. Schwamm:	I think part of what you are reflecting and part of the challenge here is that what makes a good doctor is very complex. There are several elements to that. One is and the one that is maybe most easily commented on, on the surface is just their personality. Even that is tricky because what we find appealing in a physician’s personality someone else might find it as a real turn off. So to rate people in terms of desirability to me makes no sense. Dr. Schwamm:	“Ah, I can relax. I feel safe.” But so much of what a doctor brings to a relationship depends – Number one, why you are seeing them? If we are trying to find a primary care doctor who is going to be with you for years and who is going to stay with you through sickness and health or are you trying to find a specialist for your specific problem. Part of the value of the right ‘Doctor’ is who they are connected to. Are they in an environment that has a lot of high reliability systems? When they are making measurements are they measuring just with one device or do they have a backup device? If something is really important piece of information is it being written on a piece of paper and stuck in a chart that may or may not make it back to the file room or is it in a digital archive of some kind? Is their ability to prescribe you a medication linked to a pharmacy so that they can send the medication request to the pharmacy while you are in the office to make sure that there are no errors? Fei :	I love that. Dr. Schwamm:	And that the prescription is waiting for you when you get there. Are they using a system to make sure electronically to check and make sure that they are not prescribing what you are allergic to or it has an interaction to the drugs that you are already on? Part of what makes the doctor good is the system they practice in. Part of what makes a doctor good is the other doctors they know. If your doctor doesn’t know any specialists and doesn’t have access to any good specialists they might be a wonderful person but in your hour of need you might feel very disappointed. On the other hand they might be in a great system like MGH or partners and might have access to all these great specialists but they might not feel like a very nice person or they might seem to be burnt out or overworked and they might not be patient or give you the feeling that they are really solely focused on you and not the ten patients after you that they are going to have to see before they can go home for dinner. So I don’t know how to find a good doctor honestly because I am not in that position. I am in a very, because I live inside the culture it is a different experience for me than it would be for a regular citizen who just wants to come to town and find a good doctor. So I think part of what people do is they talk to other people they trust who they think have similar needs to them and they try to find out what they do and then either copy that or carry that forward and seeking to replicate that in another relationship. Fei :	That is a great advice because I found my favorite dentist in my lifetime because I took your advice and I am copying your dentist [Inaudible 00:29:37] who is just incredible. I mean I grib. I don’t have a great dental gene to begin with and I have had a lot of candies as a kid [Laughter] and I have always been scared since I was a kid and I carry that fear with me for my whole life until I met him and every treatment I have received so far I felt at ease. Dr. Schwamm:	You know I think that there are very few things we value more than our health and so trusting a person where in trusting that too is incredibly important. Fei :	That is really interesting and I want to spend some time on that because I am sure you know that this is a question that medical professionals as well as patients and customers are really interested in finding out. I mean you have done so much I mean I was looking at your bio and you were a professor at Harvard medical school and that is also where you graduated from and you know I was asking Lisa earlier about a category of questions that is called secret origin and of really learning something about someone that is not easily uncovered through a bio and one of the most interesting piece about yourself that I can ask your permission to talk about or not is when you were in college that you were sort of a biker boy or you had a motorcycle [Laughter] and you know I heard the stories from your sons and then you became a doctor and at that time you were in Princeton? Dr. Schwamm:	I was at Princeton for a year and a half and then had a year off and I came back to finish my sophomore year at Princeton and I was really not fitting in there very well. There were parts about it that I liked but there were a lot of parts that I didn’t like and while I was away I applied to transfer to Harvard where I felt like things might be a better fit for me. I was very fortunate to get into there as a transfer student. There was not lot of transferring when I was in college. This was in 1982. It was a pretty unusual thing to do. At that time I thought I wanted to go to graduate school in philosophy and be a philosophy professor and teacher and be an academic. So I had some strong academic reasons why that was a better fit for me but more than anything I just felt like it was the right community for me and Princeton didn’t feel like the right community for me. So I was trying out a lot of different things. Dr. Schwamm:	No. [Laughter] Actually to transfer there was no exam. You wrote an essay basically. You wrote a letter basically saying why I want to transfer and you get to submit the same kind of stuff that you would have submitted a year before to actually get into college in the first place. Yeah I don’t, none of it was very thought out or particularly calculated. I applied to Harvard originally but I had withdrawn my application once I got in early to, I had applied to Princeton and to Yale. Back in those days you could apply for what is called ‘Early Action’ which sometimes still exists in some schools where it is not binding for you but it is binding for the school and you could only apply to two places at once that offered that. I got into Princeton where my father and sister had gone and in those days I think being a legacy you know from a family meant a lot than it does now. I went to a very competitive private New York high school where everybody applied to college and a quarter of my class went to Ivy League schools so it was not unusual and that was the expectation. Our school was called Fieldston and it was just north of New York City in Bronx in a small part of Bronx called Riverdale where there were a couple of schools like that. So that was not out of the ordinary at all and everyone from my family had applied to and gone to an Ivy League School. My sister went to Princeton four years ahead of me so when I was there we went there together. My brother went to University of Pennsylvania and my father had gone to Princeton and Harvard Business School. So it was just kind of expected that I would apply to the school that was the most prestigious. Dr. Schwamm:	But it was just, there was not this idea that there is now I mean our boys one is in school and one is applying to school right now as we speak there was none of this emphasis on finding a school that was the right fit for you. You applied to the schools largely the ones that were physically, geographically near you and that was the most academically prestigious that will give you the best advantage later in life when you wanted to get your next school or a job. So this idea of individualization of teacher student ratios, this culture of developing yourself as a person and actualization of yourself as a person that really was not part of the formula. It was work hard in high school. If you are a serious student work as hard as you can you can get the best grades that you can and apply to the best school you can get into and do as well as you can when you get there. At least that was the New York Jewish upper middle class ethic when I was growing up. So I did that and I just was really unhappy at Princeton. My parents had gotten divorced the year before so my personal life was tumultuous and I just didn’t want to go through four years of college not really enjoying it. I had always enjoyed school and I really loved learning and I wasn’t loving being there and I thought, “This is crazy.” I mean never mind that it is expensive I was fortunate enough that my family had enough money to pay for it so I didn’t have to go into debt to be at college. I think if I was paying for it I would have left sooner quite frankly because it would have been unacceptable to spend that kind of money and not feel like you were getting the right things out of it. Not that I thought it was a bad place but it was not a good fit for me. Fei :	What did you end up studying at Harvard for the remaining? Dr. Schwamm:	Until my senior year. I graduated as a philosophy major. Dr. Schwamm:	Yeah. So I continued in that direction when I got there and it was the reason I picked Harvard over other places because of the particular not school of philosophy but this particular area within philosophy which I was interested in which was essentialism and an area called recent continental philosophy, recent starting in the 1700s as opposed to you know Aristotle and Plato but it was a lot about questions about meaning, about existence, about the mind and whether or not the mind was a property that could be emulated say in a computer or whether there was some other element like consciousness that was distinct from the mind. It was very much about manifestations. That was very interesting to me and that was what I wanted to study and you can imagine how that leads to becoming a neurologist. Dr. Schwamm:	There is a pretty obvious connection there although it was not obvious to me at that time but I would say for two big reasons I moved in my senior year away from that and I decided I would go to medical school. The first was that I have was raised with and I have a very strong sense of kind of a civic responsibility. I really wanted to make a difference and have an impact and I discovered that if I was the best philosopher of the entire 21st century I would impact relatively small number of people. I mean I would have like what 6 or 8 people in my seminars within my degree and I wouldn’t have the kind of opportunity to make difference in people’s lives. There were some political philosophers who had been influential you know when I was in school who were important figures in advising governments and things like that about democracy, you could potentially go to law school and become a lawyer or a judge, you know there were some avenues here if you get a philosophy degree you can get to but to just to be a philosopher directly it just didn’t seem very relevant and fascinating but very narcissistic at some level. It is just all about you reading things you like and not about making any difference in the world. Fei :	I take it that you had very good doctors. Dr. Schwamm:	I had amazing doctors. I had some not so amazing doctors too but that I kind of expected just people who would do their job and were pleasant enough but I had some who really projected to me whether it was truly happening or whether it was the way in which their manner was reassuring and full of attention or investment. I felt like when they were with me I was the most important thing at that moment going on. They were wanted somewhere else but they were right there doing the best possible thing that they could for me. Had I been their child or their cousin or their neighbor they would be doing the same thing. That was the feeling that, that is the feeling you get when you are with a really, really good healthcare provider – nurse, doctor whatever that when you are there, when you are entrusted into their care they are taking care of you to the best of their ability regardless of who you are. Fei :	It is so interesting that you brought that up. I feel like that. It is how I feel important in every situation whether it be at a restaurant, a coffee shop or having a conversation with a co-worker in a concentrated world where everybody is distracted you know I cannot tell you how many times a day at work running a meeting with how many people on their phone and then the meeting we wait until finally everybody is available so it is just really interesting. Dr. Schwamm:	I mean I think it also it sometimes I think generates unrealistic expectations in me because I am held to that standard or I hold myself to that standard. When I am with you if you are my patient you get my undivided attention and compassion. You don’t get that in many other places. You don’t get that at an auto mechanic shop. You don’t get that at a supermarket. Rarely you get it and when you get it, it is remarkable right? When you go to a store and someone is really not trying to sell you something but they are trying to help you, you just feel like, “Wow”. When you call up some customer service center for your IPhone or your whatever you know it is not working and you call them for help. We are accustomed to not being treated well but when you get somebody who thinks to care and juts wants to make it right for you, you know it feels miraculous. Fei :	I think it is so interesting. I mean what makes a hospital or what makes a doctor good or great is kind of similar to how some of the other successful businesses are run in the States and other countries. For example like Starbucks people like to work there and Trader Joe’s, oh my God, Trader Joe’s. Dr. Schwamm:	Right that is what makes you trust an organization like that and want to spend your money there. Even if it is more expensive you would rather spend your dollar there knowing that either if there is a problem there is no discussion you will just get your needs addressed and number two you would rather spend your dollars there. Dr. Schwamm:	Even if it is an extra dollar you would rather spend it there to ensure that kind of service can be sustained. Fei :	I think I much rather spend my dollar because that is a premium I am paying for the service. Dr. Schwamm:	That level of service. Dr. Schwamm:	On the other hand you are willing to buy books on Amazon at much lower prices rather than support a local bookstore. So right there is, we do have this love affair with also getting a very good price on consumables. So I think that the challenge there is - Where do you draw that line in life? Where do you seek this much higher level of trust in intimacy and support versus where you just purchase disposable commodities? Dr. Schwamm:	We don’t expect service in those circumstances right. We have a tradeoff there. Fei :	Yeah exactly but also what is important to you when it comes to medical services that it is very unlikely you know even the cell phone while you want a level of guarantee and you want the best in class. Dr. Schwamm:	I would say that I agree with you up to a certain point but if you look at how many people are using minute clinics and health stops and sort of doc in a box they went there for complex medical care than for longitudinal medical care. They have a sore throat and they just want antibiotics. They just want someone to look at the back of their throat and tell it is fine and they can wait, they can call their doctor and be seen in 2 days and wait like four hours or go literally into the CVS or the Wal-Mart or whatever where they can be seen in 5 minutes. They are starting to be willing to make some of those tradeoffs so I think that. That is disruptive technology right. That is a disruptive approach to the traditional, complex, inefficient, expensive medical culture. I can tell medicine is another disruption right you don’t have to be physically in the buildings, sitting you know with your car in the parking lot having waited 3 hours and lost your way a few times and finally sitting in the waiting room or sitting in your Johnny in the room waiting another 20 minutes for the doctor to come in as opposed to sitting in your house just relaxing and working or watching TV till the doctor is ready to see you I mean I think we are going to see more and more of that kind of disruption where people are figuring out ways to reduce the inefficiencies. It is like Uber is to transportation. So we have all these unused inefficient transportation and we have inefficient ways of pairing up taxis, just getting taxis to where people are and Uber is a perfect disruptive technology for that. It relies on an extension of trust that is substantial and that maybe its most vulnerable point. If we don’t trust the Uber drivers there is no Uber. If you don’t trust the random person who happens to be commuting in the day you want to go in you don’t have your trust in one of those services. So a lot of services like that are built on a pyramid of trust and if that is shaky, that is shaking then they are unlikely to be successful except for moving packages you know or something like that that are not people. But bringing efficiencies to those markets where they are layered with inefficiencies or they may not be layered with inefficiency for the providers. It is very efficient for the providers because they are sitting in the office and have people wait forever and they just go from one to the next and whenever they are done they take the next person. That is very efficient for the provider because there is no downtime you are batching people in the waiting room. But it is not very accommodating to patients. Fei :	We have just done a slow dance right into kind of my next question as well related to technology. The question really is how has medicine changed over time that you know in your experience 20 – 25 years and then in particular how has technology served at times an asset and at times as a liability to the solutions of the medical treatment or even approaching that particular problem? Dr. Schwamm:	Well there is no question that technology has revolutionized medical care and has taken it from what was largely considered almost like quackery art. I mean physicians for generations were not considered, was not considered a revered profession. There was very little that they could do. The most important thing that they did was bring pain relief. So they went home to home with morphine and gave morphine injections to people who were sick and dying. So really until invention of anesthesia that going to the hospital was associated with actually surviving as opposed to dying. Most of the people that went to hospitals would like die or they were chronically institutionalized in hospitals. So it has really been and with the introduction of technology have dramatically improved quality of people’s lives and the likelihood of recovery. The challenge is it is expensive and sometimes too eagerly applied in part because of the fascination in our society with technology and I think in part because of the economics of investing and developing the new technology that is where the money goes. So an hour spent with a doctor, talking to the doctor and figuring out what the problem might be is valued less than the cost of an X-Ray. So an X-Ray is paid more than for an hour of the doctor’s time. So there is something wrong with that formula. We have become very reliant on technology often times inappropriately because the barrier to accessing technology in this country in particular are very low. Some countries you can’t get an MRI Scan unless someone approves it and there are very few MRI Scanners and so the number of people that can be scanned at any given time is limited and so there is a real filter there. In other places like United States there are MRI Scanners everywhere. You can get an MRI tomorrow in Boston if you need one or it you want one or if someone orders an MRI you can get it done tomorrow. So it has definitely contributed to a rise in the cost of care and in many circumstances it has replaced the physical exam. Now part of this I think gets to a distinction about how certain do you need to be? What price are you willing to pay for the ever diminishing marginal benefits of certainty? So you can be very inexpensive if you are willing to tolerate a level of certainty of 80%. “If you have headaches I am 80% sure that they are benign and let us just wait and see and if you develop weakness on one side of your body then we can have a MRI Scan because then it is much more likely that you have a brain tumor.” That is just a physical exam which is an hour of the doctor’s time and that is really cheap but it is not very certain. Well the more that you add on an hour plus an hour with the specialist then the level of certainty raises but it doesn’t go to a 100%. I think part of the drive for the adoption of this technology is just trying to get to a 100% of certainty. “How can you be certain that I have a brain tumor doctor?” “Well I can be certain if we do a scan. I do a scan then I can be certain. The likelihood of it being a brain tumor is incredibly low but it is not a zero, 1%, 2%.” So there is a real price to certainty and that goes for ordering lab tests or blood tests, imaging tests and even sometimes invasive procedures. So I would say it is a two-edged sword or it is the two sides of the same coin. It is of tremendous value but like many things in life the population of people on whom it was originally found to add value is a very small fraction of people who are actually getting exposed to it. So we find something very specific and something is useful and then we generalize it broadly. So one strategy works well for this group of people without even studying it or testing it carefully we then apply it to everything. So it spreads rapidly. A lot of the surgical procedures that are designed to prevent future injury for example surgery on a coronary artery that has narrowed those studies were first shown and proven to be effective in patients who had already had a stroke from a narrow artery and now you are preventing another stroke. They make up 20% of the patients who get those procedures now. 80% get them with narrowing who never had a stroke. There have been some studies that suggest that that might be effective but those studies were done decades ago and in the modern era of modern medications those may not even be beneficial procedures anymore. So we have this problem where we generalize diagnostic and therapeutic procedures to a broad range of patients way beyond those in whom they were originally studied. Fei :	Right. Wow this is. Dr. Schwamm:	Technology has done wonderful things. But the problem is not with the technology the problem is how we apply it and how we pay for it. So we pay for lots of things that don’t add marginal value. We allow for multiple devices to be approved and sold that do the same thing when it would be much more cost effective if we had one device that did it. We compete with one another to have the sexiest most expensive and most obscure technology as a marker that we are a better hospital. So everyone has them and go buy it. People who sell the technology encourage that because they want to sell 5 of those things and not just one. Fei :	Those are expensive things. Dr. Schwamm:	Millions and millions of dollars. Fei :	They are in the news and they are in Scientific America. Dr. Schwamm:	Like robot surgery. Robotic surgery where the doctor doesn’t hold the scalpel, a machine holds the scalpel and the doctor manipulates the controls. Fei :	What do you think about that? That scares me to a certain degree. Dr. Schwamm:	I think there are one or two instances in which they are shown to be beneficial in sparing injury to nerves and improving outcome of patients but that doesn’t mean that it is cost effective. I mean you could have your tooth worked on by you know a dentist in your neighborhood or by the dentist of the Prince of Saudi Arabia and it might be slightly better in Saudi Arabia but is it worth the extra million dollars, probably not. So that idea of cost effectiveness or incremental utility. You can drive to work just fine you know in your Volkswagen and you can also drive in a Bentley or a Ferrari or a Lamborghini but it is not about the cost effectiveness. There it is very clear that the Volkswagen is the cost effective way to get to and from your work place. Fei :	I would like to use an example. It is really interesting that one of the doctors that I was working with, I had to describe like during the summer time like every time I get a mosquito bite I had a from a mild to a pretty severe response to that and it used to freak me out because I will be at work and I would be very uncomfortable and what I did was to go see a doctor and in many cases a very young doctor and look at her and go, “We are pretty similar in age” and their common procedures or recommendations would be I feel like I have taken in so many different kinds of antibiotics for this particular scenario multiple times and at some point they ran out of different antibiotics for me to take. One day I decided to for no reason since everybody else was unavailable I saw this doctor and he probably would be in his 50s, possibly in his 60s. He looked at me and he was like, “Why did you take antibiotics for? I mean just to have all these fancy medicines on your record?” He said, “Just take antihistamines. What you need is not the regular 1 mg but it is the 2.5 mg which is a little bit stronger than the over the counter stuff I mean just Benadryl.” He just took one minute. I was curious. I was, “Common on”. So it was so interesting to me that somebody was able to kind of reduce the level of complexity in the procedure. Dr. Schwamm:	It also shows you that you have no way as a consumer to knowing you are getting good advice. I mean you have a lot of empiric observations that you tried something it didn’t work. You tried something different it didn’t work. You changed the doctor it didn’t work. Like you only had empirical observations to rely on. It wasn’t a mechanism for you to look at a source of information and see that Dr. Jones sees 45 cases just like yours a year and that the cure rate is 85% whereas Dr. Smith has only seen one case and cure rate is 0%. You don’t have any source of information. So it is very hard to evaluate the quality of the advice and you might have gotten a perfectly good advice and it didn’t work. Dr. Schwamm:	I think that there is a tremendous amount of sort of trust and intuition that goes into trying to find the right doctor. Part of that has to be the doctor’s willingness to say, “I haven't seen this before. I would like to send you to someone else who has.” Right, it is like they always have the answer or they don’t have the answer because nobody has seen everything and nobody knows. So the best doctor is somebody who is networked and who is comfortable asking their peers for advice and frequently shares information. So if you were to, you know about social network analysis? Fei :	No, I was going to ask you. Dr. Schwamm:	So forget about Facebook which is an example of online social networking but it is a nice example of a way that is easy to look at and calculate someone’s social relationships. Whether it is accurate or not it is hard to know. If you have a 1000 friends on Facebook and I have 20 does it mean that you really have more friends or that you have a different approach to seeking out and constructing a social network? But you can look at people’s social networks and analyze the structure of that set of relationships little bit like a 3 dimensional version of mind model. It is basically a diagram with nodes and spokes and so if you are here how many people are your friends and how many friends that they have that you share in common. So there are aspects of the social network like density of the network and there are statistical methods to compare different features or aspects of social networks. There is a scientist named Nicholas Christakis. He used to be at the School of Public Health Analysis at Yale who published some very influential papers in the last decade two of which made the popular press. You may have heard about it. In one of them he showed that if your friends are obese you are more likely to be obese than the rest of the population. You have to get to 6 degrees of separation from the obesity circle before your weight goes back to normal. So this non-communicable disease, it is not an infection, obesity is not infectious disease infects communities through just norms of social behavior. If you are friends who are smokers you are more likely to be a smoker. If your friends are friends of smokers you are more likely to be a smoker. You have to get several nodes away before you are less likely to be a smoker compared to the rest of the population. I would argue that doctors who have very small and isolated social networks from their professional lives probably are not as good as doctors with broad networks who frequently exchange information with their peers about healthcare. It is probably why doctors at teaching hospitals are more up-to-date and probably better doctors than doctors who practice only in the community. In teaching hospital environment your social network is large and the constant conversation on interesting and challenging medical cases means you are constantly receiving education and updates about a wide variety of diseases that you otherwise wouldn’t be exposed to. It is like if you are working from home your social sphere is small and you are not going to be as quick and be up-to-date on certain kinds of social themes and interactions. If you send a lot of time online you are going to be plugged into something different but it is not the same social environment. It is a different social environment. Because I was experimenting but at the same time all of what I did was going to serve the purpose of what I do now as a project manager to understand - How to talk to these people? What they are interested in learning and doing? How they are connected to one another? How those nodes are all connected? People are saying, “Who are you interviewing for the Fei’s World Podcast? I said, “I am interviewing doctors, entrepreneurs and you know artists”. They are like, “So what is the theme there?” People ask me, “Why are you talking to different people?” It is surprisingly if you happen to listen to the other episodes there is that sort of point of view that is very similar and in this case I think for people to have a very welcoming nature or sort of a child’s mind to be open minded. Very early on in our conversation if I go back a little bit you mentioned that we have a tendency of proving what we know is right and disproving things that we don’t know which is an area of study called confirmation bias that I love reading about and it is so true even in what I do to tell the system to find the right solution because it sort of you know it is sort of what I have been doing, comfort level. I don’t know how the other things are going to work out and right now two major projects that I am running are things that I have never done before. One is 3D Rendering [Inaudible 01:03:01] and the other one is this [Inaudible 01:03:05] and this whole panoramic view and there are some elements that I am familiar with but there are a lot of that I find very intriguing and interesting and people talk to me about, “How could you run them? How could you want to run those projects? I am so glad I am not on those projects.” But it is really interesting what you just talked about. Dr. Schwamm:	Well I mean what that gets to also is the idea of what is the right skill set for someone to manage other people? Is it content specific knowledge or is it people knowledge? Is it about getting the most that you can from the people who you are supporting or is it that you are actually expected to make the technical decisions about how to code this or how to draw this or how to put this model together or you know how to make, you know technical expertise domain specific decisions which presumably are why you have a creative department with a draughtsman and whatever actually for those technical skills. Where I see it in my work who is the right person to manage a health IT project? Is it an engineer who has content expertise and wanted to rise up from the ranks of a programmer and become a manger or is it a manager who has excellent management skills and doesn’t know that much about IT? Who is the one to better manage? I would say in my experience it all depends on what the product is. If the product is a highly technical product that will be used only by highly technical users I find that the IT based manager do a better job because they really understand the user and the user’s experience is every similar to their experience. When the product is something that is used by non-experts that is where I feel like a lot of times having a non-IT manager turns out to be a better solution because the manager sits closer to the end user in the sense that they are not natively, intuitively bonded to the technology. So putting your, I think you know the sort of if you are in an organization you got to meet deadlines and those are obvious traits that are common to anybody managing a project. But I think the ability to walk in the shoes of the people for whom you are building them is the most important skill and so pick a manager based on the content not based on the technology. Fei :	Exactly a user view, almost a user experience approach. Fei :	One of my previous guests he used to say, “Instead of thinking outside of the box you might find a better box.” You know a lot of questions that we do in my industry is personally defined problems or completely undefined problems. I find the undefined ones more interesting because personally defined sometimes aren’t very well defined and you know. So this is fascinating. Is there anything else that I haven't talked about that you would like to share with my audience? Dr. Schwamm:	You can cover that in part 7 and 8 of the series. Fei :	Sounds great. Awesome. To listen to more episodes of the Fei’s World Podcast please subscribe on ITunes or visit www.feisworld.com, that is f-e-i-s-w-o-r-l-d where you can find show notes, links, other tools and resources. You can also follow me on Twitter #FEISWORLD. Until next time thanks for listening.